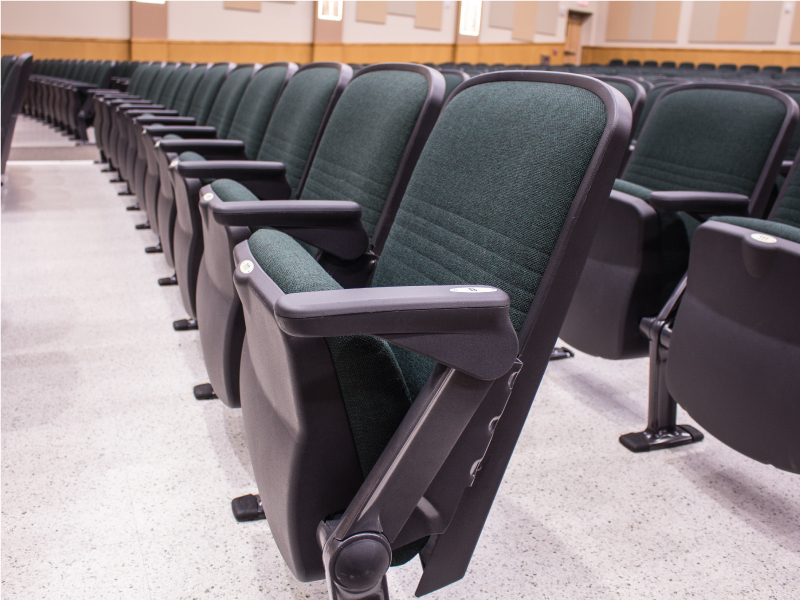 Stylized Quattro cast alluminum end Stancion, manufactured by Hussey Seating. 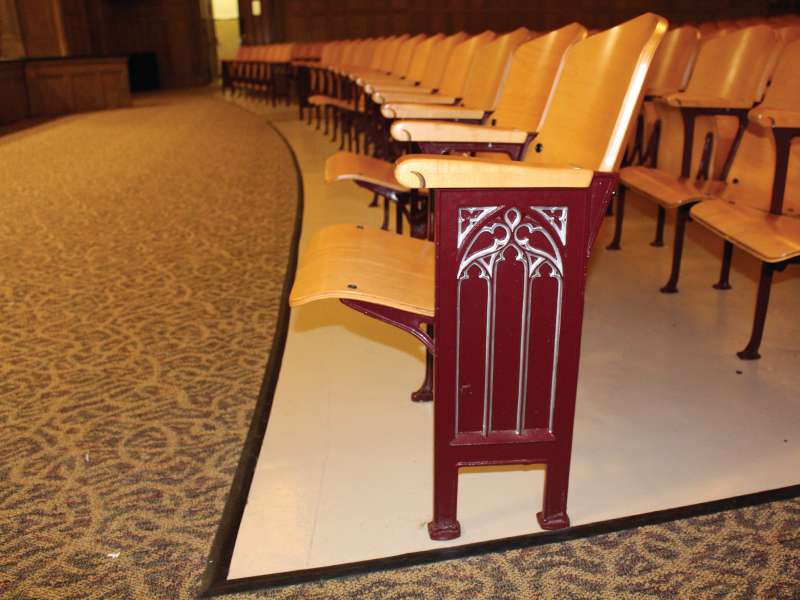 Scope: Stylized Quattro cast alluminum end Stancion, manufactured by Hussey Seating. 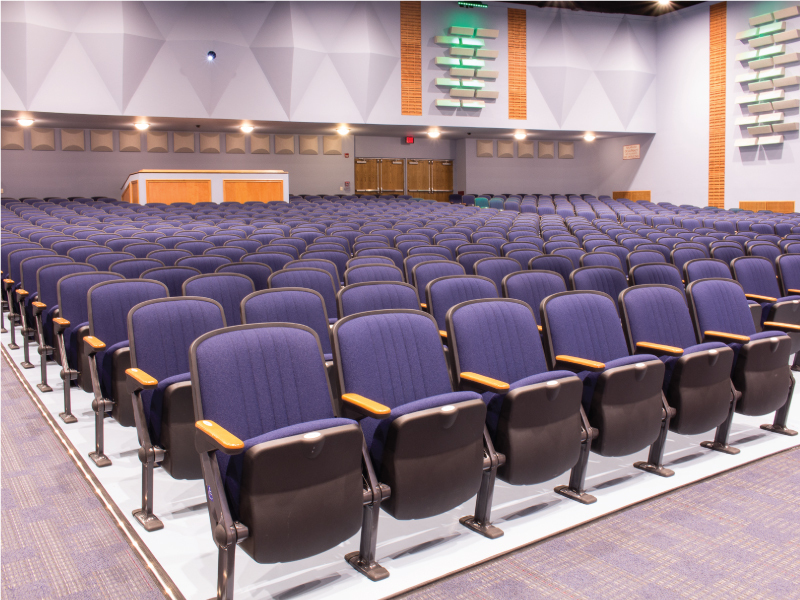 Scope: Beam mounted seating with custom oversized flip up tablet arm manufactured by Clarin Seating. 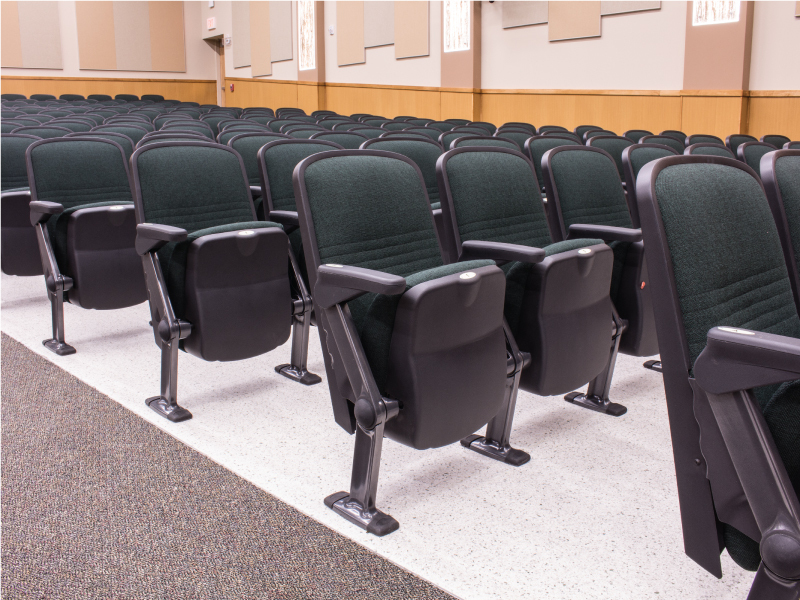 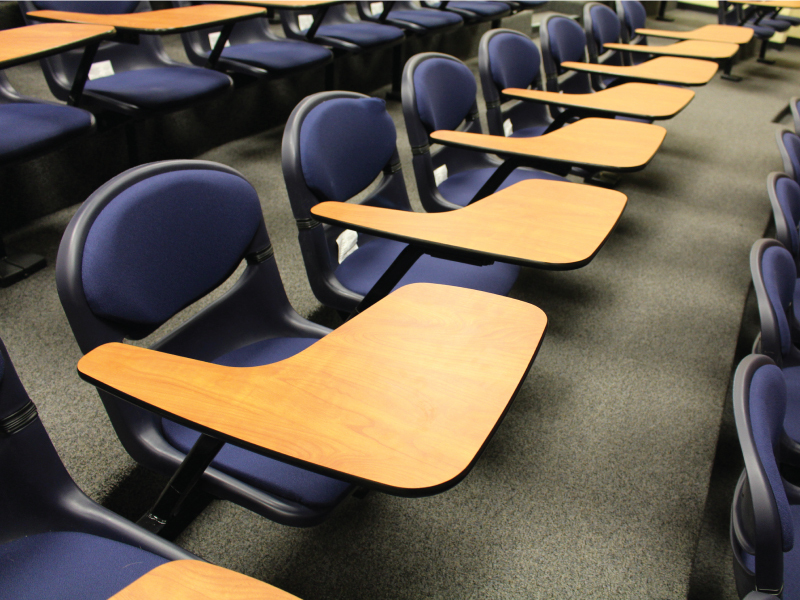 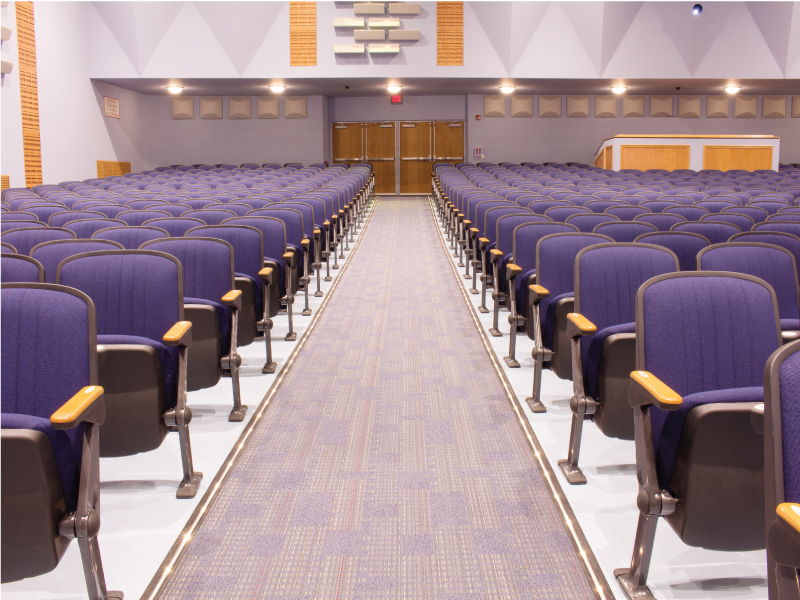 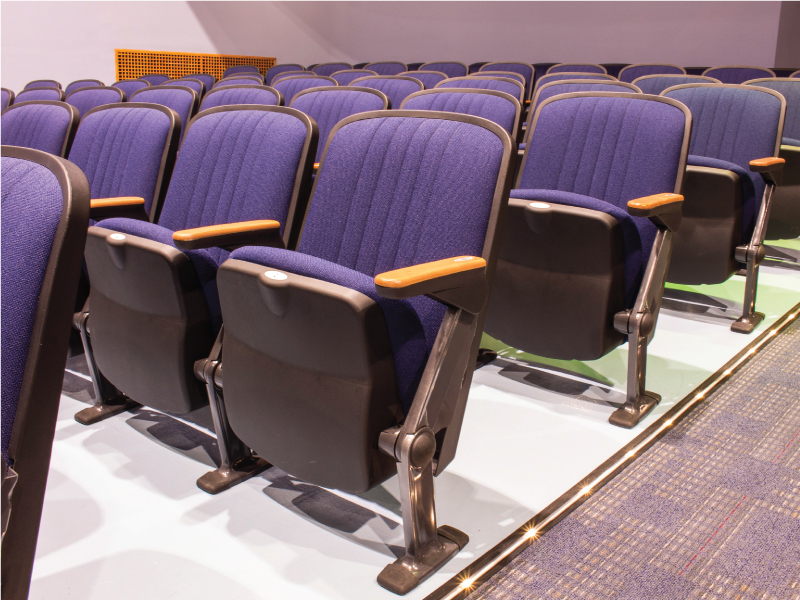 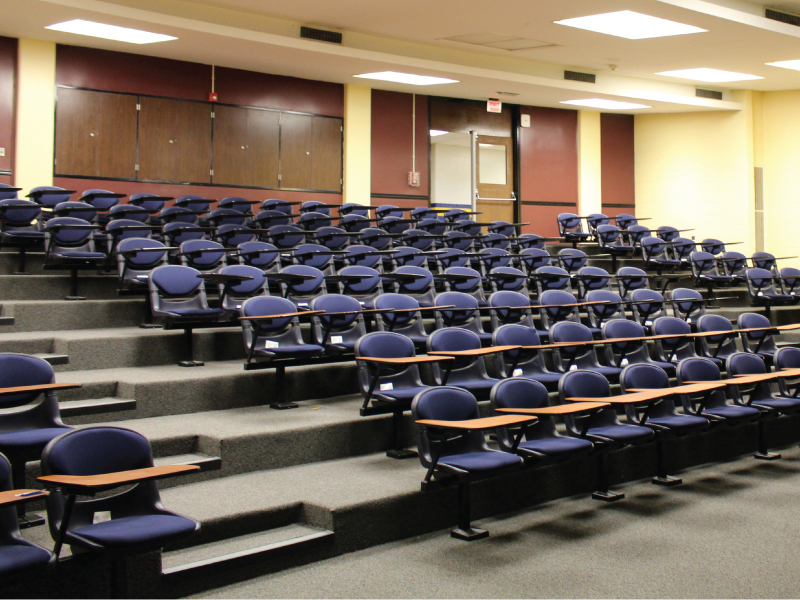 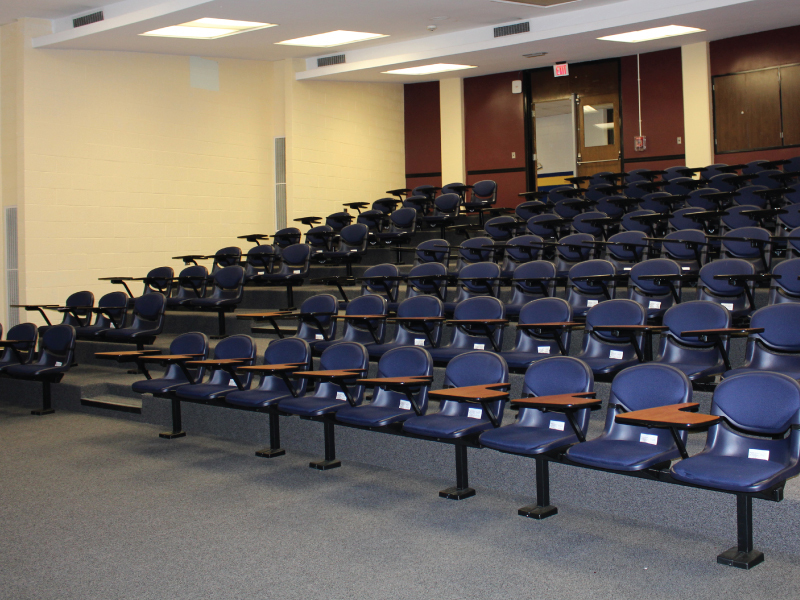 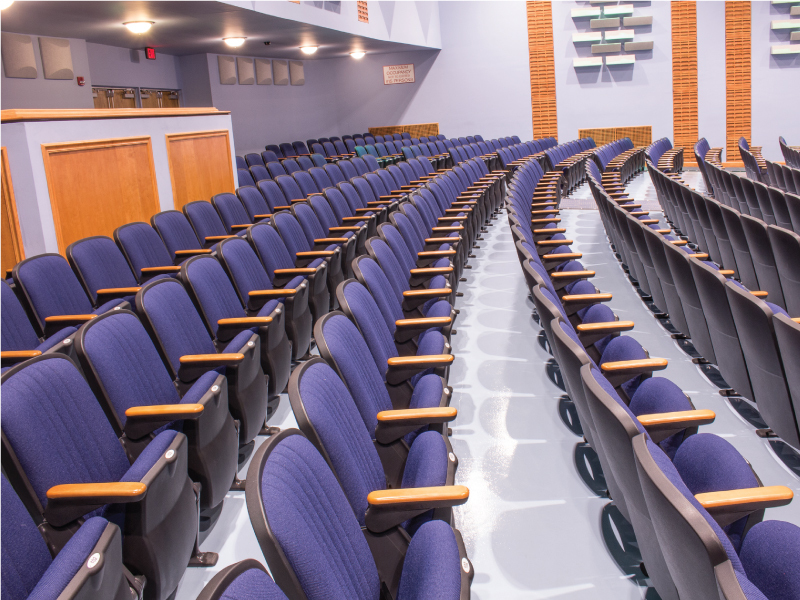 Comsewogue High School reached out to us with a need to upgrade their lecture room seating. 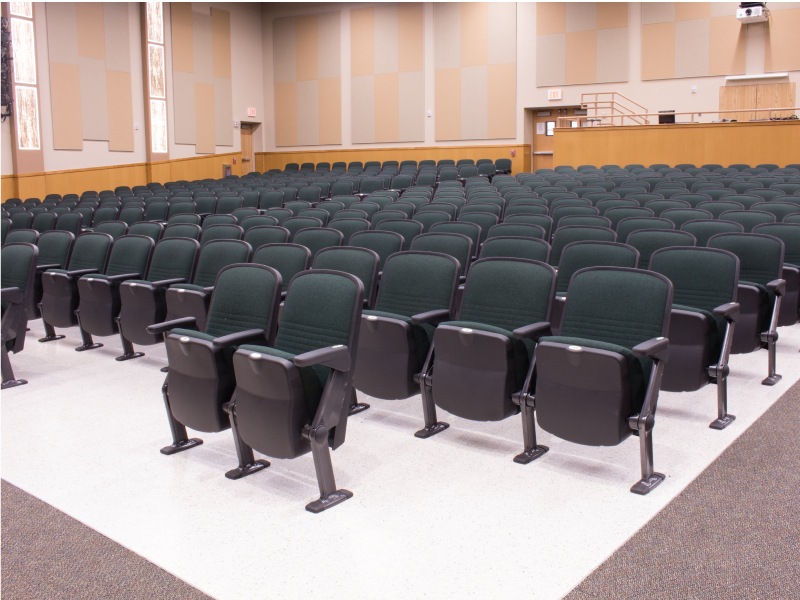 For years the room was filled with fixed tables and loose banquet chairs. 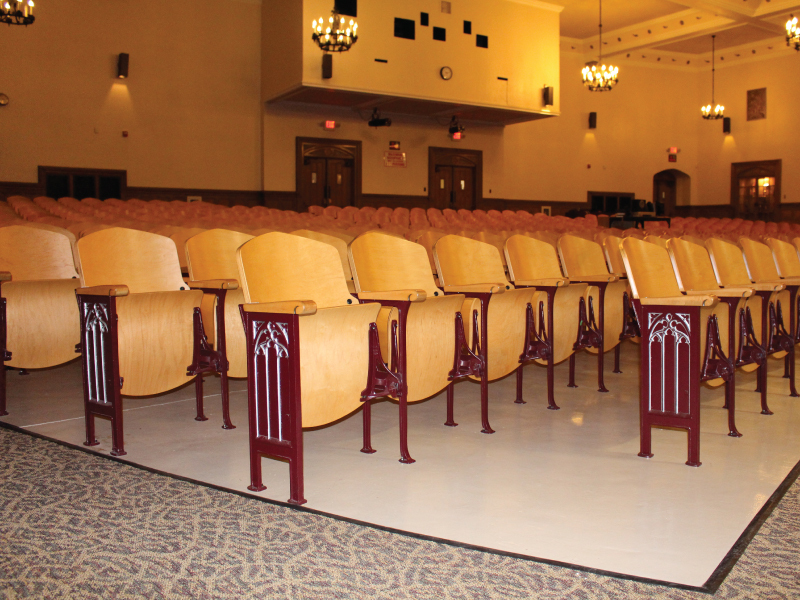 Our team was able to review the current configuration and propose individual fixed beam seating with custom oversized flip up tablet arms for each student. 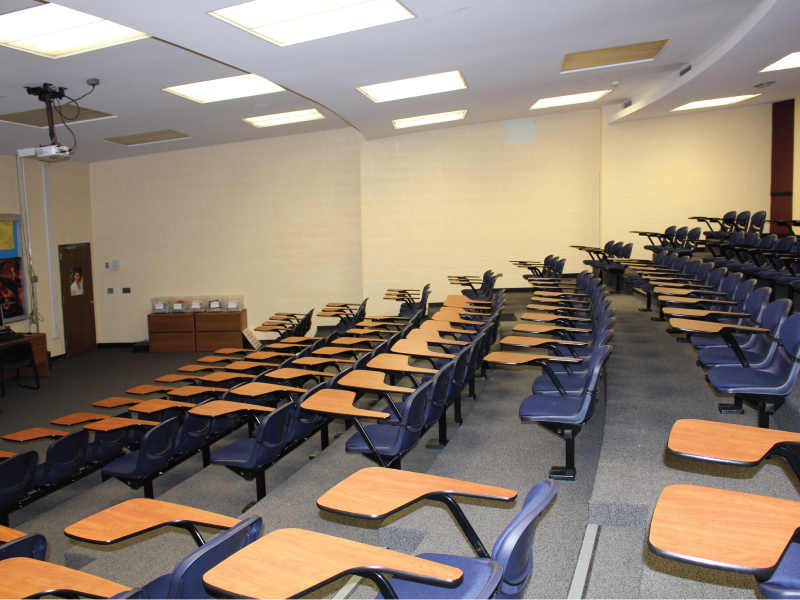 This allows for students to keep their attention to the front of the lecture room and gives them their own personal space for classwork. 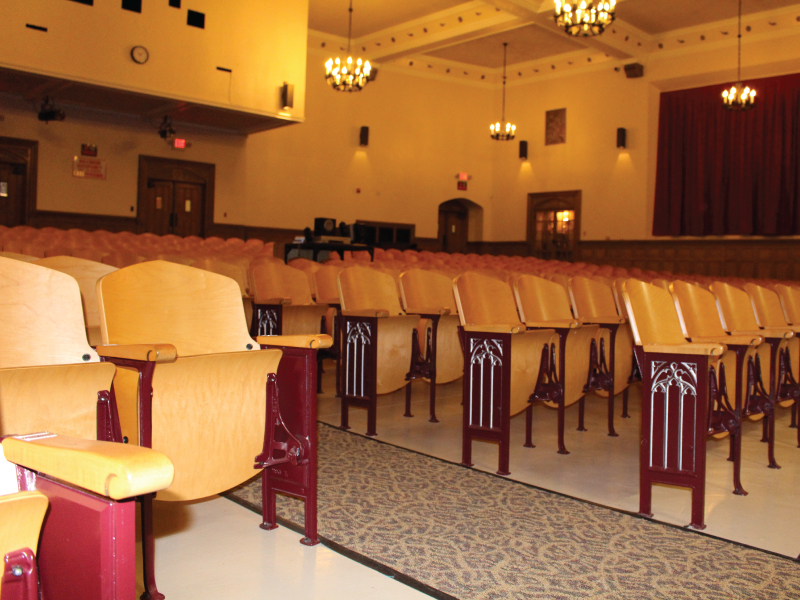 The Greenport Public School was built in 1932 and has the district has strived though out the years to maintain the historic integrity of the building. 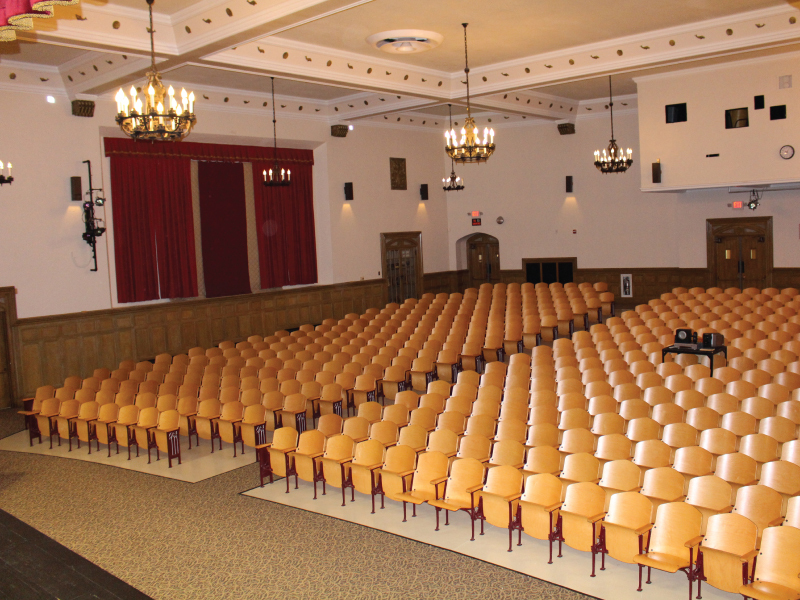 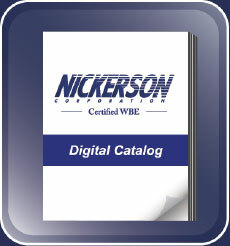 Continuing in this tradition in December 2010 the district passed a bond for capital improvements to the school, which included refurbishing the timeless auditorium. 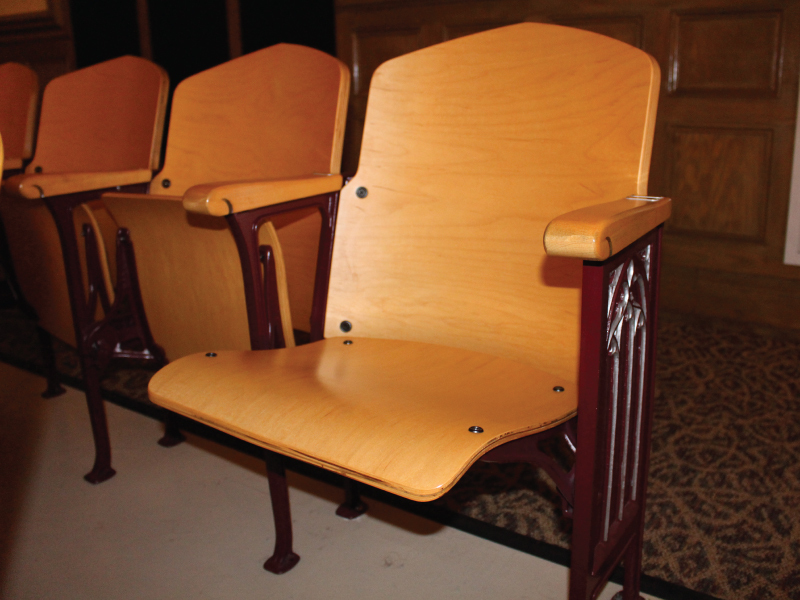 The 800 original seats were removed in October of 2011 and sent off the Baker Road Seating’s factory for restoration. 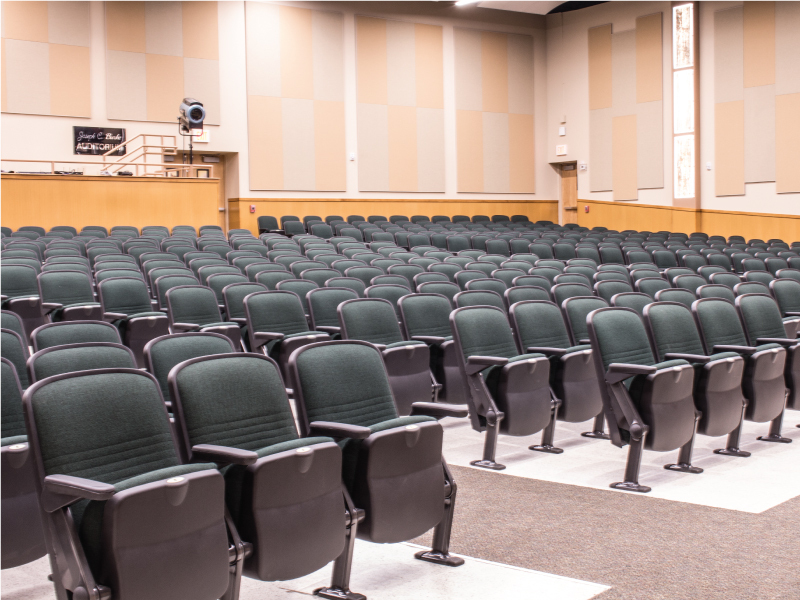 Within two months the completely restored seats we then sent back and installed, on schedule for the auditorium to be used for the school’s winter concerts.